Be safe whenever you connect, to surf, shop, stream and socialize! 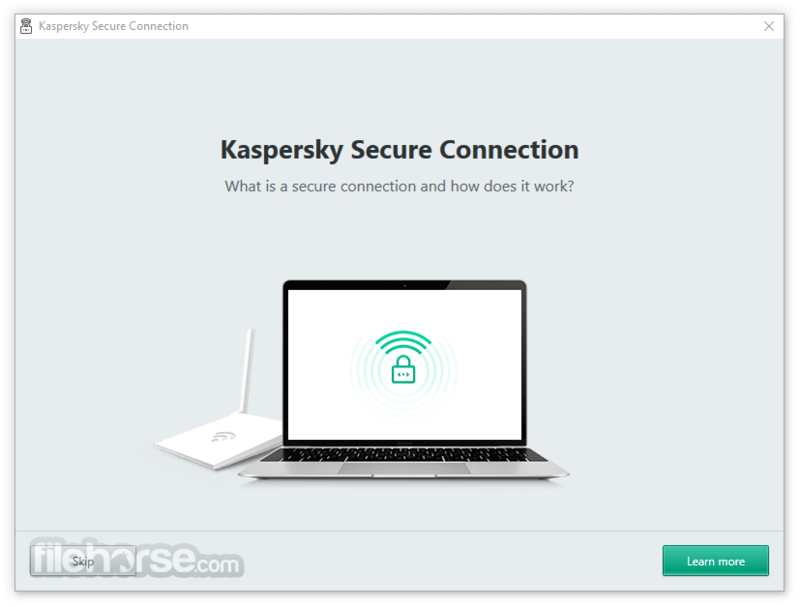 Kaspersky Secure Connection is a tool for protecting Internet connections. 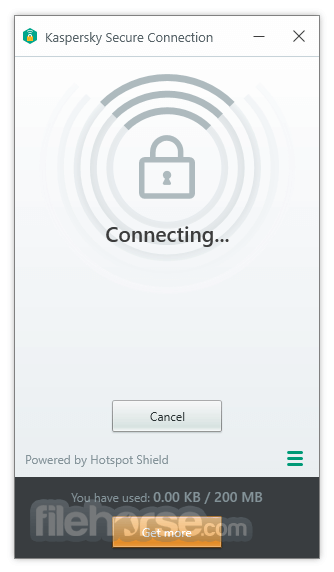 Kaspersky Secure Connection establishes a secure connection: it hides your real IP address and location, and transfers your data via the encrypted channel. Use Kaspersky Secure Connection to protect your credentials and private information when you shop online or use social networks. Protects your communications, privacy and data – whenever you're online – so it's safer to surf, socialize, stream and shop. 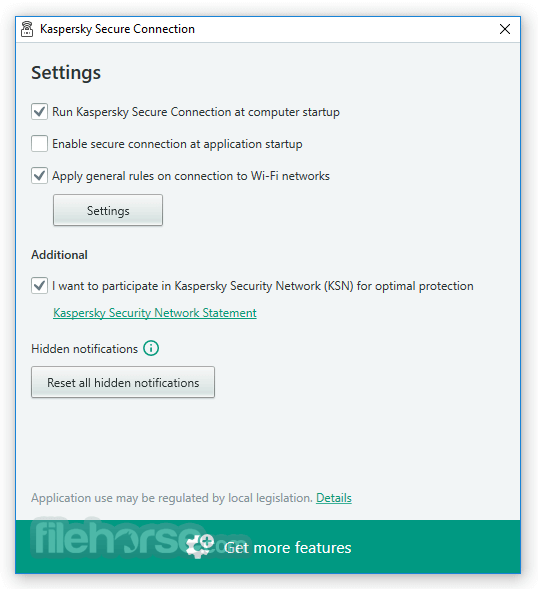 Download Kaspersky VPN Software Now! Whether you're online banking, shopping, video streaming, socializing or dating, we make sure hackers can't read your communications. All data you send & receive is transferred via an encrypted, secure channel – and your location and IP address aren't revealed. 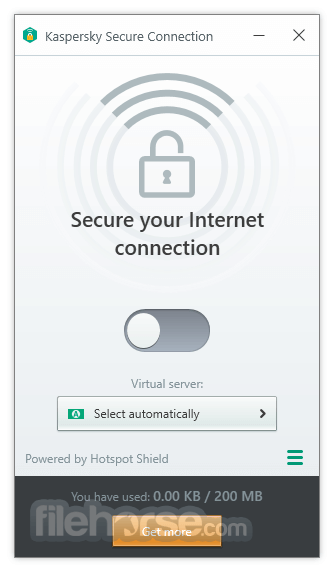 Download Kaspersky VPN free tool today! 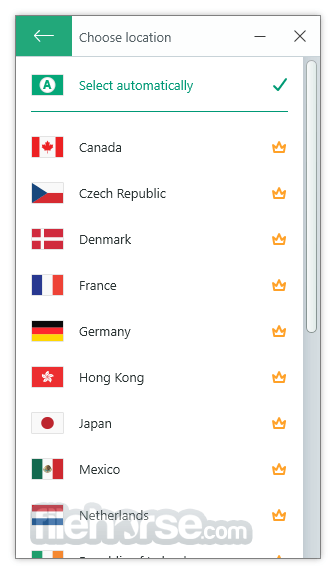 Note: In demo version, only 200MB data allowance per day.